Plaid Stallions : Rambling and Reflections on '70s pop culture: The Adventures of Steve! 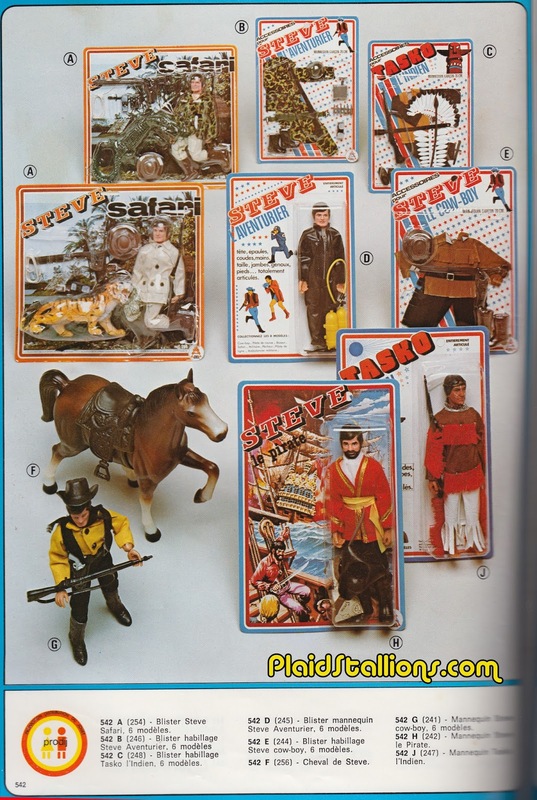 I have a real soft spot for generic knock-off action figures and I find this page from France kind of mind-blowing as I've never seen many of these "Steve the Adventurer" toys. 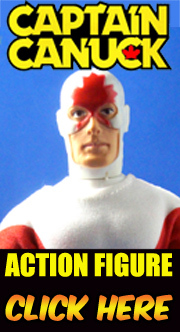 The Mego like Steve was known as "Demo Man" in other parts of the world and his head is a really blatant copy of Big Jim but unlike a lot of KO figures, there's a higher than normal amount of care in this guy. As a fellow Steve, I approve of this. Although I don't approve of that SCUBA diving suit, which looks more like some pervy gimp suit. As one of the more prolific Anons here, I don't approve of the comment Anon #1 made. Anon #1 needs to follow Fashion Mockery on Plaid Stallions more closely. While it's true some leisure suits did have pleated outer pockets, they were markedly different from safari jackets. The latter were baggy and much too frumpy for the fast-paced action at the discotheque. I'm sure a bunch of guys tried to make it work -at least until they got tired of going home alone every Saturday night and finally wised up. The tiger is disturbing because it's so small. Scaled to Steve, it's a tiger cub. Shooting that poor little thing would land Steve in jail, an African jail. The real "adventure" begins after lights-out. Serves him right, too. My above comment was a spoof, as I believe, yours is too, however- I was spoofing Steve's [pose] rather than his disco-like clothes. Anyway- I totally mean this: please get into writing fiction stories, even if your just doing it as a hobby.